The middle to early life of the Playstation console in the U.S. was one that was run by a SCEA CEO that tried to force change in the gaming market. One of the rules that severely impacted creativity and localization of PS1 games was that the game had to have 3D elements or 3D gameplay. So visual novels and 2D sprite based sidescrollers were out. His idea was that he wanted the world to forget the past and continue onwards to the future. Games like Castlevania was lucky to be released because of the 3D FMV cutscenes in the beginning and end of the game. Many saw Castlevania’s gameplay a bold move, seeing as other companies are going the 3D route. Mega Man X4 saw similar comments upon release. Outside of the Anime FMV cutscenes, everything on the gameplay side utilized 2D sprites. 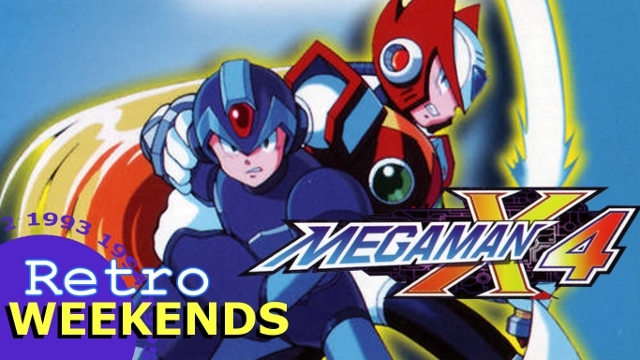 While we’re on the subject, Mega Man X4 introduced the ability to fully play as Zero. This was introduced back on X3 where you could call on Zero from a teleporter and play as him for a bit. But here, he was fully playable and had his own abilities to get from the bosses. However unlike X were you would select an ability and fire away, you had to do certain button combinations to make Zero use a move, like pressing up and square to do his Ryuenjin (the flaming uppercut). And the good thing is that all but one of his moves consume no energy, so you could do them as much you want. Of course, since Zero uses his Z-Saber for combat, you have to get close to the enemies, which for some enemies can be rather dangerous. This goes double for bosses. The story also got an expansion. Now the Reploids seek to build their own utopia away from humans. This task was started by General, who was advised by a mysterious cloaked figure (which happens to be Sigma). The thing is that if Reploids leave and make their utopia as a means to defy their human creators, they could be perceived as Mavericks (renegade Reploids). 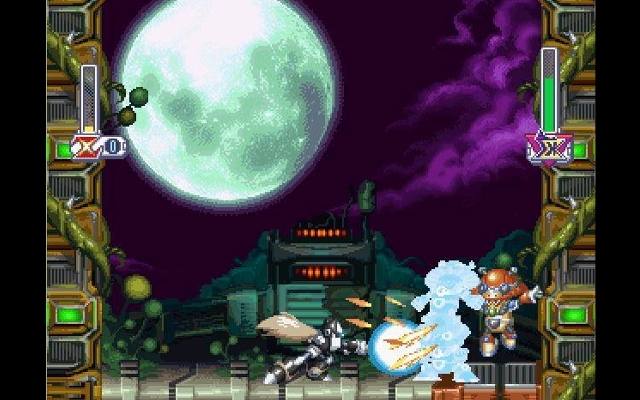 Regardless, the Reploids mobilize and take to space, taking certain important things with them that are a no-no for our Maverick Hunters Zero and X. We also learn a bit about Zero’s past and the strong suggestion that Zero was made by Dr. Wily and that he was designed to destroy X. Throughout Zero’s story, we see him struggle to understand this and become frazzled at the thought that he’ll one day go Maverick. X fears the same thing, but is not as expanded upon as Zero’s.